A24 strikes again with a romance aimed at older moviegoers as "Stalker" reissue soars. A weak arthouse market was brightened by “The Lovers,” a high-concept A24 release targeted at the usual older specialty demo. Azazel Jacobs, an indie veteran without a breakout film to his credit, returned to the feature world from HBO (“Doll and Em”) with “The Lovers” (A24). Its initial results put it atop the results for the weekend which saw several disappointments. Several top specialized distributors optimistically counter-programmed against Marvel’s May juggernaut “Guardians of the Galaxy Vol. 2,” hoping to fill the vacuum with no other wide releases to grab attention. That strategy can can launch a film like “Belle,” “Ida,” and “Far from the Madding Crowd” toward a big push in the early summer period including Memorial Day weekend. Even if “The Lovers” never approaches that level, it is positioned to get further attention ahead of numerous new releases this coming weekend. 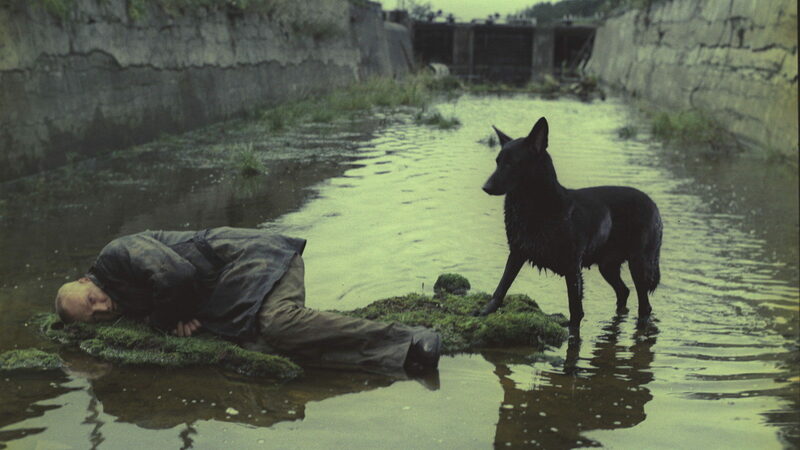 Also opening strong with the best revival/restoration numbers in some time was Russian director Andrei Tarkovsky’s “Stalker” (Janus) which grossed an estimated $20,000 in a single Manhattan theater. Azazel Jacobs’ first film since “Terri” (2009) is the biggest opener of his career. As a long-married couple, Debra Winger shines in a comeback role opposite playwright-actor Tracy Letts (“Christine”). They each delay telling each other about their affairs and plans for divorce but reignite their sexual romance, shocking their their visiting adult son. A24’s second in-house production after “Moonlight,” “The Lovers” is the most likely to thrive of the week’s new releases. The substantial Saturday uptick from Friday suggests it is initially reaching its target older audience. A24 will give this off-brand title strong support. What comes next: The next wave of big cities starts this Friday, with a steady expansion throughout May. Weak results greeted the cross-country release of this upscale ensemble drama about two couples having a tense dinner about the fate of their two troubled sons. Anticipating mixed reviews, The Orchard wisely chose not to take the platform route and went wider from the start, also recognizing that “The Dinner” is the second Richard Gere film in the market (after “Norman: The Moderate Rise and Tragic Fall of a New York Fixer”) and the second he’s done with Oren Moverman (“Time Out of Mind”). This marked a big jump for The Orchard, which scored well last year with “Hunt for the Wider People,” with the largest break to date, more than 200 theaters more than any of their earlier films. What comes next: Little sign that this will merit wider expansion. One of the most talked about documentary releases of the year opened to modest results despite elevated attention. Laura Poitras hit box office and Oscar gold with her Edward Snowden as-it-happened “Citizenfour” in late 2014. That film opened quite well in a conventional five theater platform release after a New York Film Festival launch, with a PTA of $25,000. That then went to 37 its second weekend, with a PTA over $5,000 on its way to a $2.8 million for Radius/Weinstein. Julian Assange, like Snowden a whistleblower/cybertheft figure, marks a more controversial but less fresh subject than Snowden: Alex Gibney’s “We Steal Secrets” previously portraying him in 2013. That opened to $28,000 in four theaters and only totaled $166,000 for Focus World. What comes next: Neon plans a steady expansion over the next few weeks before Showtime airs the film this summer. 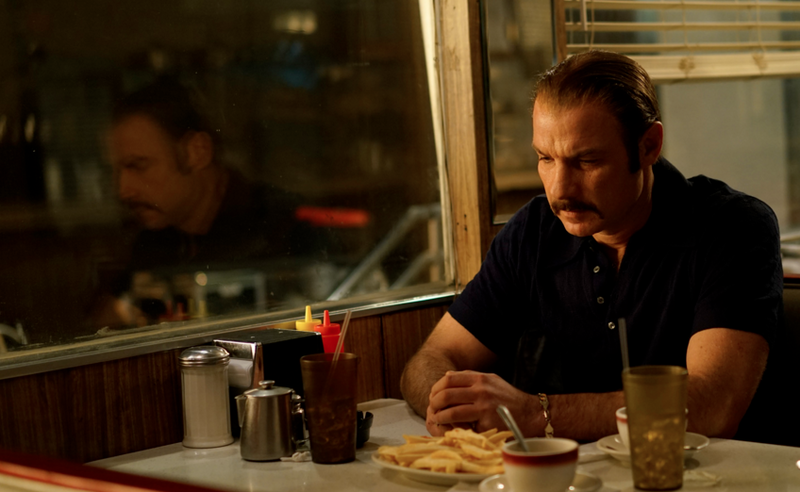 “Chuck” with Liev Schreiber in the title role — giving some weekend showings a boost with Q & A sessions — showed a modest debut at four key New York/Los Angeles theaters. But it came with a significant 110 per cent Saturday jump that could be a sign of the film gaining some initial traction. Boxing films have had such a rebound at least in production that now title changes are in order. IFC premiered “Chuck” at film festivals last September as “The Bleeder” (as working class boxer and “Rocky” prototype Chuck Wepner was known) but later changed the title when Miles Teller drama “Bleed for This” also appeared. Liev Schreiber plays the fighter who knocked down Muhammed Ali in their 1975 championship bout but failed to sustain a career. He may have influenced Stallone’s iconic character Rocky. IFC bought spots on cable sports programs as part of their marketing. What comes next: Top 25 markets this Friday, top 100 by end of the month. While Weinstein successfully appealed their initial R rating, that marketing win didn’t translate into box office interest, as this long-delayed transgender family drama, produced in 2014, has been plagued with mixed to negative reviews since its 2015 Cannes debut. Elle Fanning as a teenage boy seeking parental permission to transition costars with Naomi Watts and Susan Sarandon. Despite major marketing and initial theater placement, the film failed to gain much traction. Saturday at least had a decent 56 per cent jump. Italian comedy/dramas used to be a mainstay of American art houses, but in recent years few films at all have seen much domestic action. This one directed by Paolo Virzi is set in an Italian asylum and features two contrasting female patients. Strand scored dates at Manhattan’s subtitle-friendly Lincoln Plaza and IFC Center, with minor results. What comes next: Los Angeles follows on Friday. Stephane Brize (“Measure of a Man”) has been gaining stature among French directors and getting steady release in U.S. theaters. His latest, based on novelist Guy de Mauppasant’s 19th-century story of a wealthy woman’s affair, also opened at two Manhattan locations to favorable reviews and middling business. What comes next: It opens in Los Angeles next week. The afterlife of NBA star Kenny Anderson and his tough times adapting post-retirement are chronicled in this documentary which opened in two New York theaters to a five-day gross that comes from only at 60-seat theater at the IFC Center. What comes next: This will see niche dates ahead particularly in areas associated with its subject. Painter Julian Schnabel has made movies, appeared in them and now is the subject of a documentary solely about him. It opened in New York and Los Angeles to minimal results with mostly negatives reviews. What comes next: This doesn’t look to hold much more than minor interest. Andrei Tarkovsky’s 1979 masterpiece gets reissue treatment with an initial strong result at New York’s Film Society of Lincoln Center. What comes next: This strong gross should get this reissue attention beyond the normal revival circuit. Los Angeles added theaters for this documentary about the death notices section of the New York Times, with a strong local review making it a modest success. Los Angeles added to the initial New York date for some sampling for this documentary about an important but lesser known 1960s rock figure. Holding on after an accelerated wider run, this won’t quite reach last spring’s top specialized release “Eye in the Sky” (over $19 million) but has led 2017’s limited releases to date. (Fox Searchlight’s wider crossover hit “The Gift” continues to expand its margin ahead of this). Continuing to show decent response as it expands, and more impressive against the much wider opening in many of the same theaters for star Richard Gere‘s “The Dinner,” this continues on a pace to be SPC’s biggest-grossing release in a year — it needs to hit $3.3 million. This London World War II story starring Gemma Arterton is holding steady with nearly the same theater count. If STX can hold theaters, this still might see a good chunk of gross ahead. In week five, Anne Hathaway’s indie genre flick continues to decline more quickly than expected, with a PTA now under $1,000. In a promising sign for Terence Davies’ Emily Dickinson biopic, despite a significant addition of theaters the PTA stayed close to $2,000 (it was a little over last weekend). That suggests both room for more expansion as well as a chance of holding in at those already playing. Quietly this Japanese animated worldwide smash has managed a very strong domestic take outside the usual distributors.